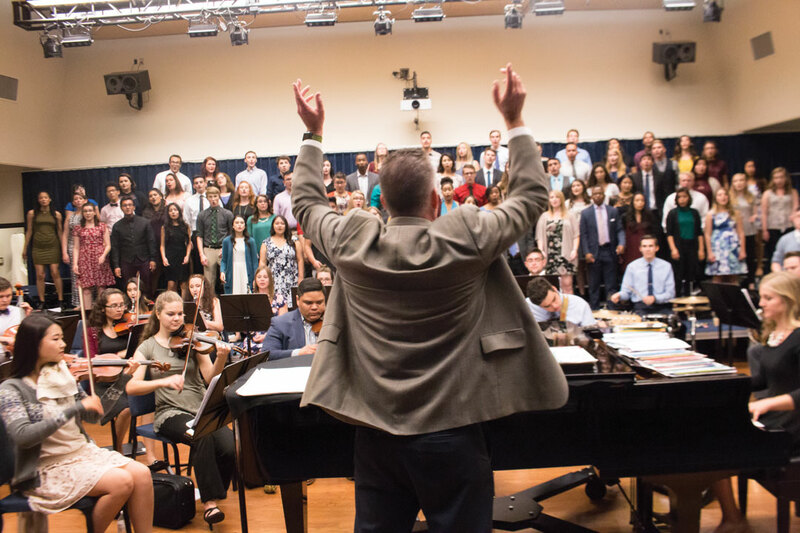 The Collinsworth School of Music ensembles get busy throughout the school year with concerts at various churches, but it gets busier as the semester closes with preparation of what is known as Maytour. The conductor, Dr. Judd Bonner, takes time during the school year to plan the end-of- semester tours, which consume time and energy. The conductors contact various churches across the country to get the choir to go to various states to minister with the gift of music. This year, the University Choir and Orchestra will be taking a two-and-a-half week long tour through various states from May 7 – 27. Starting in Fair Oaks, Calif., and ending in Montana, UCO will visit Oregon and Washington and will spend their nights with host families from the churches at which they will be ministering. “I am excited for this year’s choir tour as it is my first with the UCO choir and I cannot wait to know the choir better,” said Melody Leon, sophomore music major and member of UCO. Another aspect of Maytour is the CDs UCO sells. “After concerts, people who are buying CDs come up to us. They will tell us how important these CDs are to them and how much they have affected their lives,” Gunn said. After Maytour, the choir will get ready for another mini-tour in June for three days as part of a worship conference with American worship leader Tommy Walker. Performances for the mini- tour will take place in the Midwest and West Coast. The New Song Choir have a two-day tour in Arizona and Lancaster. Women’s Song Choir also is preparing for an eight-day tour.